WHITE BOY RICK: A review by Roni Rampant! 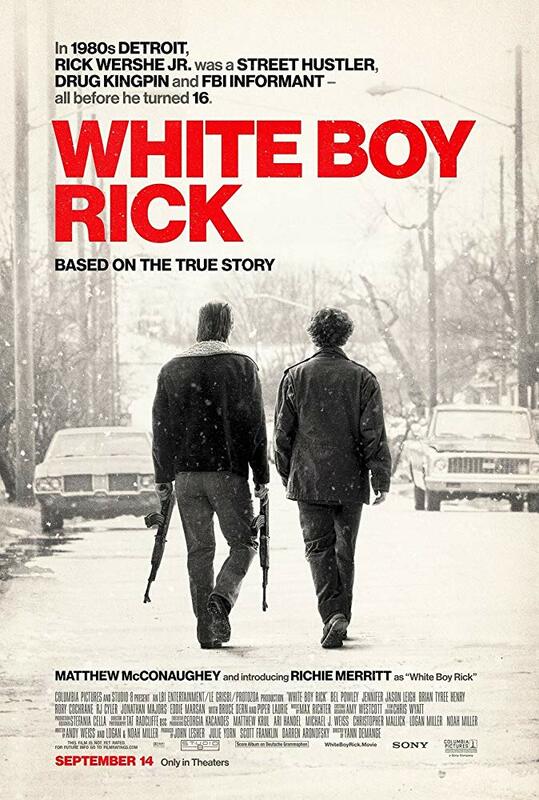 So, WHITE BOY RICK is based on the true story of a white boy who sells guns and drugs, becomes an informant for the FBI, gets his best friend arrested for doing nothing, and goes to jail. My feelings about this movie are deeply mixed. The movie is beautifully shot, and packed chock full of some of my favorite actors. They got Matthew McConaughey to take a hiatus from Lincoln commercials long enough to play Rick Sr, White Boy Rick’s dirtbag father. Bruce Dern has an undeniable presence as the grandfather. One of my all time favorites, Jennifer Jason Leigh, even plays one of the FBI agents who recruits Rick as an informant and starts him on the path to drug-dealing. It’s based on a true crime story. It took TIFF by storm. I should love this movie. So why don’t I love this movie? First, let’s talk about what WHITE BOY RICK gets right. The movie is at its best when it’s portraying the gritty, downwardly-mobile, working-class world of the Wershe family. In 80’s Detroit, they are (apparently) the only white family still driving around a decaying neighborhood in their weatherbeaten 70’s sedans. Rick Sr. is hustling guns to provide for a couple of kids who dislike him (for reasons never fully explored, his daughter Dawn hates him, and leaves home immediately for a boyfriend and drugs). Rick Sr. recruits Rick Jr. into his crazy moneymaking schemes, and Rick Jr. starts selling guns to the local drug dealers. Rick Jr. and his drug-dealing peers are all about 14 or 15 years old, and their early relationship in the movie reflects that kind of friendship – going to the roller rink, shooting at rats under a bridge, making out and smoking pot at the drive-in. But at some point, the FBI rolls up and hands Rick Jr. a big roll of ‘dope’ and tells him that in order to make his cover story believable, he’ll need to start dealing. At some point, Rick Jr. goes to the Mayor’s mansion and later, the Mayor’s brother in law gets arrested by the FBI, so I gather that higher-ups in the city government are somehow involved in this. But none of that actually makes it onto the screen. The other characters aren’t given enough screen time for us to care about them. Even Ricky’s best friend, Boo, who seems like a promising character (played by RJ Cyler), gets carted off to jail just for being in the same room as gang leader Johnny about halfway through, and we never see or hear from Boo again. The Other White Guy in this criminal enterprise shows up a couple times and kind of high fives White Boy Rick, but to be honest I’m not even sure who he was or what he does. Like so much of this movie, his presence is ultimately inconsequential. I really want to like this movie, and the Wershe family’s humanity made me care about them, and forgive whatever they had to do to support each other. But the story itself is stretched paper thin. I kept waiting for the moment that was going to take this to the next level. 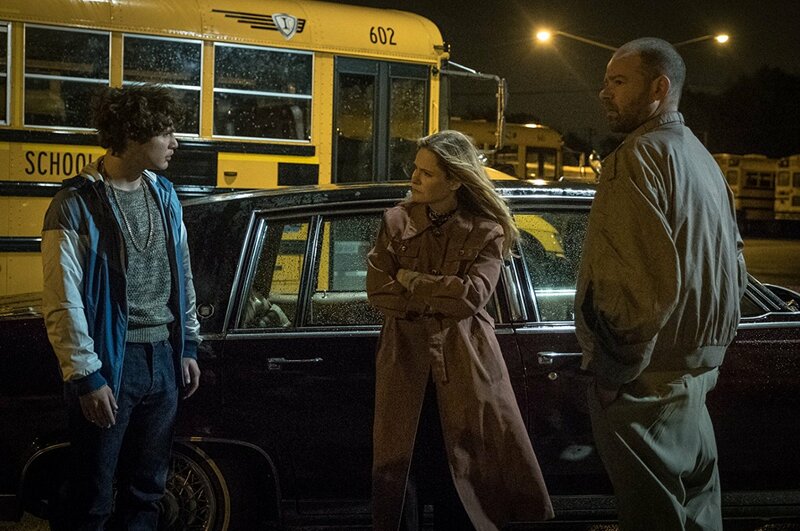 The ending, which gives us the real Rick Wershe’s current situation, does land an emotional blow: The real-life WHITE BOY RICK is still in jail, after receiving a life sentence for drug dealing (as one character says, he would have gotten off easier with a murder conviction.) But it left me with more questions than answers. For instance, why wasn’t he tried as a juvenile? And did he really receive “the longest sentence for a non-violent offender in history”? Really? Because there was a lot of that going around in the 80s in communities of color. 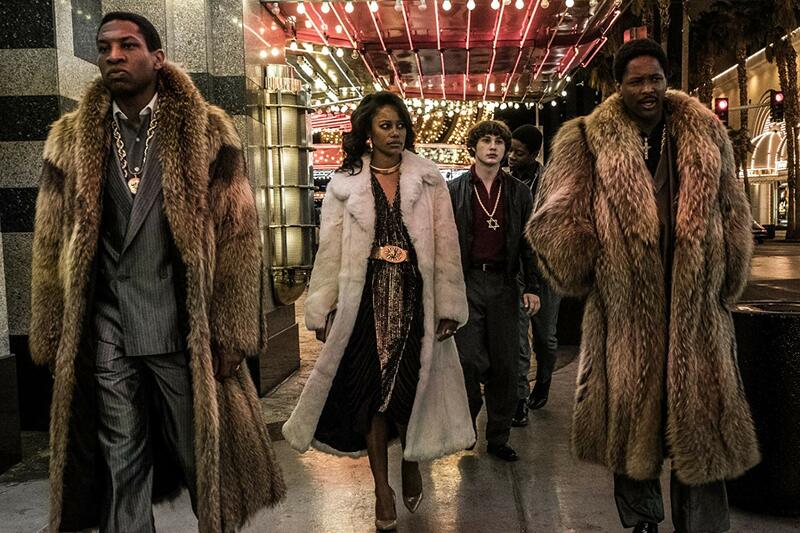 If you’re going into this hoping for a pre-pubescent SCARFACE, you’re in for a disappointment. 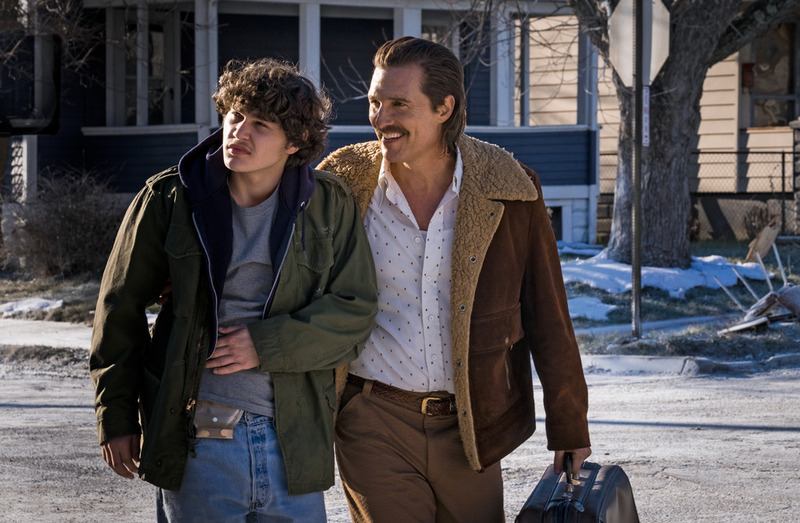 WHITE BOY RICK is more family drama than gang thriller– and it’s stretched too thin to nail either genre with any depth or satisfaction. It feels like there’s a cool story here, but I’m not sure it’s the one that made it to the screen.